Bad odor in the mouth, also known as halitosis, can be caused by a variety of medical conditions. Illnesses that affect the lungs can create an unpleasant oral odor from complications like increased mucus production or side effects from medications. For those who suffer from asthma, bad odor in the mouth can be caused in several different ways. First, asthma inhalers with corticosteroids can cause thrush, which is an oral yeast infection. Corticosteroids act as a mild immunosuppressant and can enable higher levels of bacterial growth in the mouth. Bacteria combine with accumulated debris around the teeth, tongue, and gums, causing halitosis. Alternatively, inhalers can irritate the back of the mouth, which may lead to infection and a bad odor in the mouth. Second, individuals with asthma also experience nasal allergies with increased mucus and postnasal drip, leading to bad breath. And finally, the wheezing which accompanies asthma can dry out the mouth, hindering the cleansing effect of saliva and making bad odor in the mouth more likely. More serious lung conditions like cystic fibrosis are also associated with bad odor in the mouth. This is due to the high incidence of sinusitis alongside cystic fibrosis. Sinusitis generally causes postnasal drip, chronic nasal obstruction and discharge, and severe bad breath from thick, accumulated mucus. 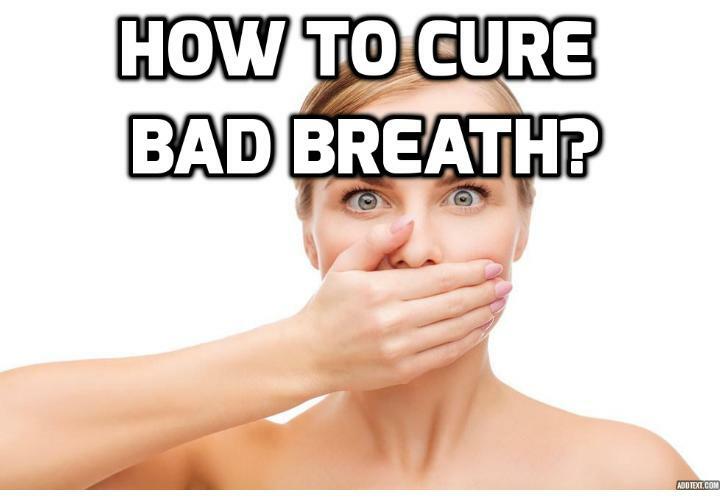 Alternatively, cystic fibrosis can also cause bad breath because of high breath acidity. Researchers maintain that acidic breath associated with this disease may be caused by the overproduction of acids in the lung. Once these acids are exhaled through the mouth, they can make your breath smell badly. Conditions like lung cancer also involve bad odor in the mouth, this time due to volatile organic compounds in breath. To combat bad odor in the mouth that is caused by lung conditions, be sure to maintain an effective oral-hygiene routine every day. Your routine should involve brushing your teeth, gums, and tongue with fluoride toothpaste, flossing, and rinsing your mouth with an antibacterial rinse. See your dentist for regular cleanings and exams, and be sure to inform him or her of any preexisting medical conditions that may be affecting your oral health. Next PostNext Does mouthwash eliminate a bad oral odor?